Salman Khan has an array of projects in the pipeline. The actor is currently promoting his upcoming film Race 3. He is simultaneously shooting his reality show Dus Ka Dum which made its return to TV screens with its third season on June 4. With these two projects, Salman Khan also has two movies in 2019 – Bharat and Dabangg 3. Though Salman Khan has already shot some portions of Bharat, he is yet to begin shooting for Dabangg 3. While it is yet to go on floors, we have exclusive details that the look tests for the film have begun. 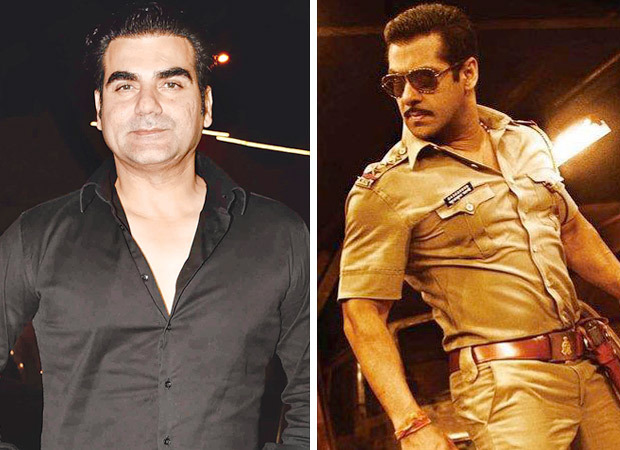 Producer and actor Arbaaz Khan recently confirmed to Bollywood Hungama that the look tests for certain characters for Salman Khan starrer Dabangg 3 have begun but he does not want to disclose anything as of yet. “Yes, we have. I don’t want to disclose much about it. We are in the process of casting for some main characters. It’s not the right time to disclose. We want the announcement to be a proper thing. We will be making a formal announcement whenever we are ready. Not now. The look tests are going on for a couple of people. We may have shortlisted somebody and we are trying to finalize whether it is that person or not. It may take a while,” Arbaaz said. Arbaaz Khan, who is also the producer of the film, said that they have locked the story but will make a proper announcement when the time is right. “With any big film, there are characters that need to be finalized whether it is your negative character, your lead actor or your leading lady or whatever. That process is going to happen and it will start soon. To disclose who it is, it is not the time as we are still in the process of finalizing. The story has been locked,” Arbaaz added. Dabangg 3, which will be helmed by Prabhu Dheva, will reportedly go on floors by the end of the year.